Provider of mobile on-site refueling and fuel management services in Canada and the U.S.
Kelso was involved in myriad ways. 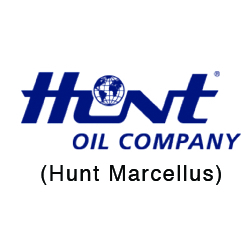 One of the largest independent petroleum refiners and marketers in the mid-continental U.S. Publisher of controlled circulation trade and business magazines in the U.S. Bottler and distributor of water and related products to the home and office delivery and retail markets throughout the U.S.
Eagle Foods (“Eagle”) is a leading domestic manufacturer of canned milk, popcorn and other salty snack products. Eagle operates in two stable and growing categories within canned milk with #1 branded market share in sweetened condensed milk and #2 branded share in evaporated milk, as well as #1 private label market share in each category. Additionally, Eagle manufactures ready-to-eat popcorn under the brands G.H. Cretors and Popcorn, Indiana, as well as private label popcorn and other salty snack products for a diverse set of retail customers. G.H. Cretors is one of the fastest growing brands in the ready-to-eat popcorn category. Popcorn, Indiana is one of the leading brands in the ready-to-eat popcorn category, with a wide array of unique flavors and product offerings. Eagle’s products have a rich history with the 150-year heritage of the iconic Eagle canned milk brand and strong consumer awareness of the Cretors family name as the inventors of the popcorn machine. In December 2015, Kelso purchased the Eagle canned milk assets from The J.M. Smucker Company as part of a negotiated transaction. This acquisition established the foundation upon which to build a portfolio of food brands. On August 1, 2016, Eagle successfully transitioned to its own ERP system, on time and on budget. In August 2016, Eagle closed on the acquisition of Cornfields, Inc., a leading branded and private label manufacturer of popcorn and other salty snack products, which significantly increased the size of the business. In August 2017, Eagle closed on the acquisition of Popcorn, Indiana, a leading brand in the ready-to-eat popcorn category, which strategically complements the G.H. Cretors brand and private label popcorn offerings, and increases Eagle's scale and importance in the high growth ready-to-eat popcorn category. Kelso was selected by Paul Wagstaff, a successful and seasoned food executive, to build a food platform together. Kelso’s unique characteristics were responsible for our selection by Paul as his Partner of Choice: our 35+ years of investing, the stability and longevity of our team and our focus on alignment of interest. Our ability to move quickly through an accelerated due diligence process and cause minimal business disruption to the seller was critical to being selected as the preferred buyer of the Eagle canned milk assets. Kelso’s commitment to smoothly transition key employees into the new Eagle Foods organization was also a differentiating factor. Eight months after closing the initial investment, Kelso and management invested additional equity into Eagle to complete the acquisition of Cornfields, Inc. Kelso purchased Cornfields from the founding Cretors family in a negotiated transaction. The Eagle management team’s reputation for building brands was a key factor in the Cretors family’s decision to sell its company to Eagle. Leading specialty publisher of residential real estate and rental property advertising publications in the U.S. Over-the-counter (“OTC”) pharmaceutical platform that owns market leading brands including Plan B One-Step (emergency contraceptive), Theravent (snoring relief), Campho-Phenique (cold sore relief), St. Joseph (low-dose aspirin), Bronkaid (asthma relief), and Neo-Synephrine (nasal decongestant). Engaged in the direct mail marketing, manufacturing, and distribution of women's sheer hosiery products in the U.S.
Helios is a leading provider of pharmacy benefit management (“PBM”) services, durable medical equipment, home health care, transportation, translation and Medicare compliance solutions for workers’ compensation insurance carriers and third-party administrators. Helios was formed at the time of Kelso’s investment through the merger of Progressive Solutions (“Progressive”) and PMSI, which were the #2 and #3 PBM providers in the workers’ compensation market at the time. The combination created the largest dedicated PBM serving the workers’ compensation industry. The workers’ compensation PBM market continued to grow due to drug price inflation and moderate script growth post-investment. Helios achieved the $35 million in run-rate cost savings initially forecasted. In June 2014 based on the strength of the underlying business, Helios raised $210 million in incremental term loans, which allowed for a distribution to shareholders. In October 2015, Helios was sold to OptumRX Inc.
Kelso’s focus on the PBM sector and industry relationships allowed us to identify a strategic (Progressive) with which to partner in the acquisition of PMSI. We proactively approached Progressive to be our partner, which gave the Kelso/Progressive combination a competitive edge in the auction process. Our successful track record of partnering with corporates made us an attractive partner to both PMSI and Progressive. Existing management from both companies rolled over significant equity and led a combined management team. Kelso was able to navigate a complex auction process and bring significant resources to bear to complete diligence on two companies within a condensed timeline and ultimately merge Progressive and PMSI. In evaluating the combined business, Kelso and management were able to identify and underwrite $35 million of cost savings. These costs savings were fully implemented on a run-rate basis within two years of Kelso’s investment. Timely, successful integration led by a combined Progressive/PMSI management team positioned the business for a sale to a strategic buyer. Kelso had identified this opportunity for a strategic exit in a rapidly consolidating industry as part of its investment thesis. The Kelso Healthcare Services team had evaluated the PBM sector in depth prior to the Helios investment. Our conclusions regarding industry structure, barriers to entry, and differentiated services required in workers’ compensation PBM were core to our investment thesis. 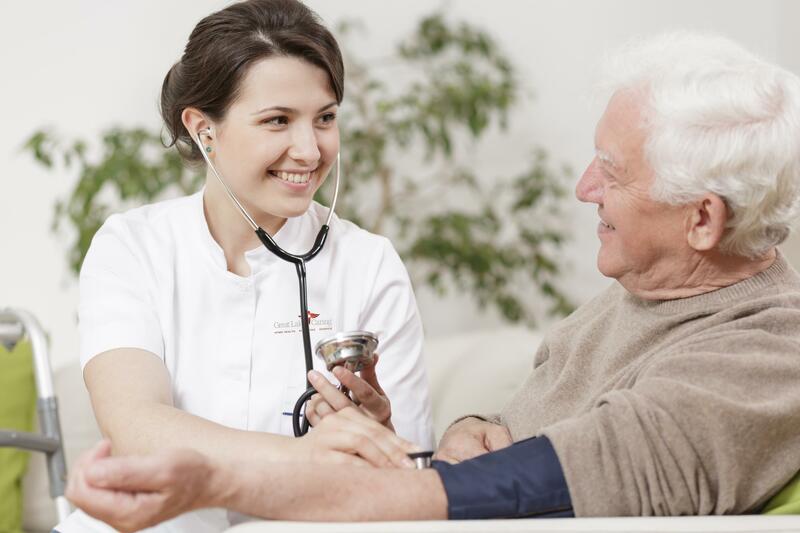 Leading provider of home healthcare services including personal care services, skilled home healthcare and hospice. KAR Auction Services (“KAR”) is a leading provider of vehicle auction services in North America for sellers of used and salvage vehicles through numerous auction locations and multiple proprietary internet venues. Revenues are generated from auction fees from both vehicle buyers and sellers, as well as value-added ancillary services, including inspections, storage, transportation, reconditioning, salvage recovery, titling and floorplan financing. We successfully integrated IAAI and ADESA, achieving significant operational and financial benefits. KAR completed numerous tuck-in acquisitions and the critical acquisition of Openlane, which enhanced KAR’s web-based auction and technology capabilities. Despite a recession and significant decline in new vehicle sales and lease originations during Kelso’s ownership period, KAR grew revenue and EBITDA and successfully managed expenses and capital spending to generate free cash flow and pay down a substantial amount of debt. In December 2009, Kelso took KAR public, in one of the first IPOs coming out of the Global Financial Crisis. To fully exit its investment, Kelso completed six secondary offerings between December 2012 and November 2013, with each successive offering price exceeding the previous sale’s offering price. KAR was formed in April 2007 by taking ADESA, a publicly-traded company, private and combining it with Insurance Auto Auctions (“IAAI”), an existing Kelso portfolio company. IAAI was an ideal platform to consolidate the auction industry by building out a national physical footprint and online business to compete with the only two other national competitors. Kelso installed Brian Clingen as CEO - Brian had previously been CFO of Universal Outdoor, a Kelso Fund V company. Kelso also hired Jim Hallett, the former CEO of ADESA, to run the used vehicle division. Brian Clingen was formerly the CFO of Kelso’s successful investment in Universal Outdoor. Brian also had experience in the automotive collision repair and insurance sectors. Kelso partnered with Brian in the going private transaction of IAAI in 2005, at which point Brian became Chairman of the Board. Kelso identified a substantial opportunity for value creation by consolidating the fragmented salvage vehicle auction sector, including by combining IAAI with the salvage operations of ADESA. Brian oversaw the go-private purchase of ADESA and the subsequent merger of IAAI and ADESA. After combining the two businesses, which resulted in substantial revenue and cost synergies, we ultimately took the combined business public in December of 2009. During our ownership, Kelso and management worked together to substantially transform the business through operational improvements, acquisitions and a further organic build-out of the combined company’s North American footprint. Significant opportunity for cost savings existed through combining IAAI with ADESA’s salvage auction businesses and implementing best practices at ADESA’s used vehicle locations. Affordable, full service restaurant chain across the U.S.
Largest designer, marketer and manufacturer of socks sold in the U.S. 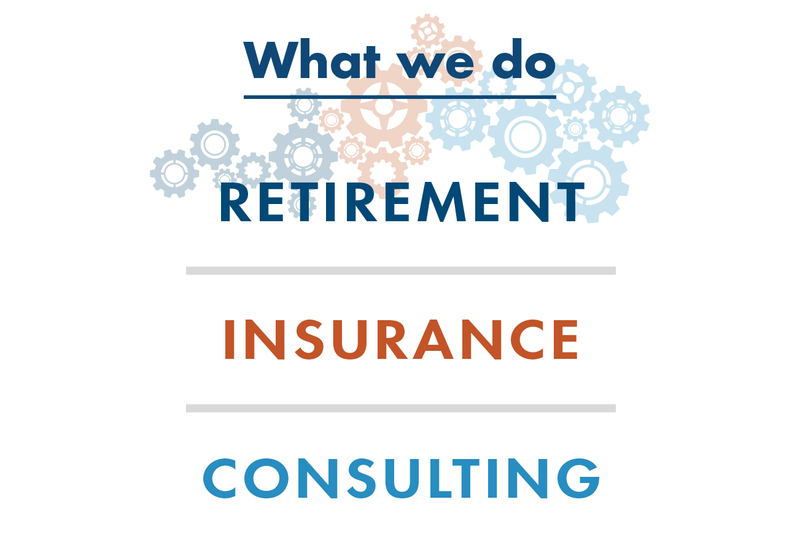 Founded in 1997 by CEO Mike Christian, Risk Strategies Company (“RSC”) is a leading national insurance brokerage firm, focused on select specialty practices serving middle/upper-middle commercial clients and high net worth individuals. RSC has 35 offices across the U.S. and ~820 employees. RSC benefits from a differentiated business model focused largely on more complex specialty practices, including healthcare, professional liability, entertainment and fine arts. Since Kelso’s investment in November 2015, RSC has completed 11 strategic acquisitions at attractive purchase multiples. These acquisitions have been focused on three types of targets: new specialty practices, geographic expansion and tuck-ins to existing practices and offices. In addition to augmenting the team, Kelso and management have made a number of platform investments to support the Company's increased scale and significant acquisition activity. Kelso identified insurance brokerage as a priority sector and worked with former Willis North America Chairman & CEO Vic Krauze and KSN member Pat McLaughlin to develop an investment thesis and pursue acquisitions in the sector. As part of this process, Kelso and its advisors identified RSC as a premier asset in the insurance brokerage industry and proactively pursued an acquisition of the company. Through this outreach, Kelso was able to establish itself as management’s Partner of Choice, allowing Kelso to preemptively complete diligence and deliver a complete bid outside of the broad auction process. Management and key employees rolled over 75% of their proceeds and own ~33% of the Company, evidencing their strong commitment to RSC and creating a meaningful alignment of interest with Kelso. Kelso's deep experience investing in the insurance sector, along with the experience of Mr. Krauze and Mr. McLaughlin, provided unique insights into the business and market. RSC has a best-in-class management team with a proven track record of driving strong organic growth and executing on a disciplined, successful acquisition strategy. In searching for their next partner, management was seeking a capable investor whose experience and insights could help them move into the next phase of growth. Kelso was chosen as RSC’s Partner of Choice, and Kelso, Mr. Krauze and Mr. Pat McLaughlin, have been actively involved in acquisition sourcing, acquisition due diligence and strategic decisions as RSC continues to scale. Tallgrass Energy is a growth-oriented midstream energy company operating across 10 states with transportation, storage, terminal and processing assets that serve some of the nation’s most prolific crude oil and natural gas basins. Operator of midstream assets in the Rockies and Midwest regions of the U.S. Completed a ~$314mm MLP IPO just six months after closing the transaction, creating Tallgrass Energy Partners, LP (NYSE: “TEP”). Completed a ~$1.4bn IPO of its general partner, Tallgrass Energy Partners GP, LP (NYSE: “TEGP”), two years after the IPO of TEP. Kelso evaluated the assets with multiple strategic partners during Kinder Morgan’s FTC-mandated divestiture of certain pipelines and other midstream assets prior to working with Tallgrass. We worked closely with our KSN members, many of whom had direct experience previously operating the assets, to identify the opportunity and develop an understanding of the value of the midstream asset portfolio. As a result, we were able to give management confidence that Kelso was the right choice when securing a financial partner and negotiating the transaction. Our deep experience in the energy sector, specifically our strong track record in midstream, along with the experience of our KSN team, gave us the insights and confidence to pursue this very large acquisition, which required a differentiated perspective on the potential of its key assets. Management developed a unique perspective on the assets which was not apparent to all bidders in the process, including a large development project (Pony Express Pipeline) and a large asset repositioning (Rockies Express Pipeline). Through our independent due diligence, we ultimately developed a similar perspective with management on the substantial upside embedded in the asset portfolio. Management, led by CEO David Dehaemers, had a strong track record of successfully operating midstream assets and creating significant value for investors. Our energy experience and perspectives aligned well with those of management as they searched for a financial partner. Industry leading provider of integrated and environmentally-responsible services to oil and gas companies in Canada and the U.S.
Truck-Lite is a leading manufacturer of signal lighting, forward lighting, wiring harnesses, mirrors, fuel filters and other products to the medium and heavy duty commercial vehicle, trailer and light vehicle industries. Kelso acquired a 49% ownership stake in Truck-Lite from the Penske Corporation and other investors in 2010. Truck-Lite operated as a standalone subsidiary of Penske Corp, benefitting from Penske Corp’s relationships with truck fleets and commercial and light vehicle OEMs. Truck-Lite maintains #1 or #2 market shares across all of its major product categories in the U.S.
Commercial vehicle and trailer production volumes met or exceeded industry expectations in 2011-12, thereby validating the market timing aspect of the Kelso investment thesis. In 2012 based on the strength of the underlying business, Truck-Lite completed a $325 million debt refinancing, the proceeds of which were used to repay debt and fund a $100 million distribution to shareholders. In February 2015, Truck-Lite acquired Rigid Industries, a leading manufacturer of LED lighting for the off-road and powersports industries. In December 2015, Kelso and The Penske Corporation sold Truck-Lite to entities affiliated with Koch Equity Development and BDT Capital Partners. The Penske Corporation was seeking a partner to purchase a 49% interest in Truck-Lite.& Management and the Penske organization (including Roger Penske) selected Kelso as their partner due to our successful record of investing in the transportation industry, substantial experience with corporate partnerships and significant personal investment by the Kelso employees in our transactions. The Penske Corporation retained 51% ownership in the business. The Truck-Lite partnership was the first of two investments we have made with entities controlled by Roger Penske. Kelso continues to actively review new investment opportunities with the Penske organization. Following the Global Financial Crisis, the average truck fleet age of 6.5 years in 2010 was the highest on record, with strong new build rates projected. Kelso observed one year of growth from the historically low build rate in 2009 and believed the industry was in the early stages of a significant recovery. Market leader in commercial vehicle lighting (#1 or #2 share across major product categories); low-cost producer in important, high-volume product lines; unique two-pronged selling strategy involving vehicle fleets and OEMs; ~11,000 points of distribution blanketing the U.S.
Kelso supported Truck-Lite’s strong R&D program with the launch of numerous new products during our ownership, including a greater focus on forward LED headlamps which were expected to significantly increase lighting product revenue in the coming years. In addition, we completed a significant acquisition which expanded Truck-Lite’s LED lighting franchise into an attractive new market. Outdoor advertising company in the U.S.
Multi-regional, integrated solid waste services company in Canada and the U.S.
Midstream company focused on operating, building and acquiring terminals and related infrastructure across North America.